In January 1987, Paul Bocuse created the Bocuse d’Or, a revolutionary gastronomy contest. Replicating the codes of major sporting events, he imagined a true show placing the emphasis on cooking and on the chefs. Beyond a mere cooking contest, the Bocuse d'Or is a show that receives extraordinary media coverage. 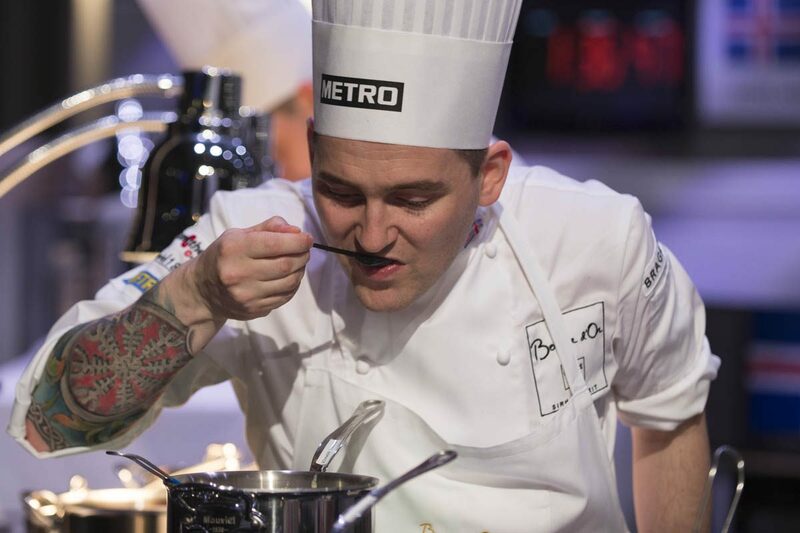 Many talented chefs have made a name for themselves by winning the contest, like the winner of the Bocuse d'Or 2011, Danish chef Rasmus Kofoed - restaurant Geranium (Copenhagen) - who successively won the Bronze Bocuse, Silver Bocuse, and Gold Bocuse. 20 years after its creation, faced with the increasing number of nations who want to take part in the prestigious contest, the Bocuse d'Or inaugurated in 2007 the concept of pre-selection events by introducing the continental events: Bocuse d'Or Europe, Bocuse d'Or Latin America and Bocuse d'Or Asia, that became Bocuse d'Or Asia-Pacific in 2014 and now includes Australia. These events are actual continental finals and aim to select the 24 countries that will reach the prestigious final in Lyon. More than an isolated event, the Bocuse d'Or now features nearly sixty national and continental contests over a two-year cycle, all leading to the culmination in the world final that is invariably held in Lyon, France. Ert þú næsti Bocuse d´Or keppandi fyrir Íslands hönd?